Baishi Pahache Kheliba Mina (All the human beings will be perished and fish will play at the steps of Puri temple). In recent times, the sea has acted strangely and devoured lands on the waterfront making the people believe that Das’ prophecy will come true one day. 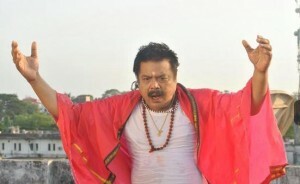 The New Oriya Movie of Sanjaya Nayak is based on the said story. After starting with “rakhi bandhibi mo rakhiba mana”, director Sanjaya nayak till now made 25 movies in a couple of years.He is all set and geared up for this next film.As his last film “Keun duniaru Asila bandhu”, this film will have lots of graphics and visual effects. He has already started the preproduction work.